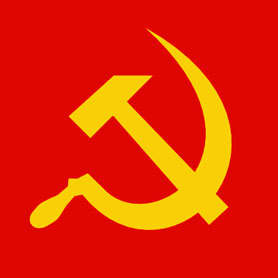 DAVAO CITY, Philippines (Mindanao Examiner / May 12, 2011) – Communist insurgents attacked a US mining firm in the southern Philippines on Thursday and killing a security guard, a military spokesman said. Another security guard was reported missing in the attack on Russell Mines and Minerals Incorporated in the village of Kingking in Compostela Valley’s Pantukan town. “New People’s Army rebels ambushed the security guards of Russell Mining and Mineral Incorporated and killed one of them. Another is still missing in the attack,” said Major Maria Rosa Cristina Manuel, a spokeswoman for the 10th Infantry Division. She said troops were dispatched to the area to track down the rebels, who are fighting for decades for the establishment of a separate state in the country. The motive of the ambush is still unknown, but rebels have previously warned it would launch attacks on firms engaged in destructive mining and accused of human rights violations in Mindanao. Ethnic tribesmen have also accused the mining firm of encroaching into their ancestral domain. And last month, a leader of a militant mining union, Santos Manrique, was shot dead by hooded gunmen in Pantukan town. Manrique’s group was opposing the operation of the Russell Mining and Minerals Incorporated and its partner the Nationwide Development Corporation. Manrique, 49, was having dinner when gunmen barged in his house and shot him repeatedly and then fled on motorcycles. In February, communist rebels also raided the Eagle Mining Company in Bukidnon province also in the mineral-rich region of Mindanao after accusing the firm of the destroying forests. The rebels said the attack was in retaliation to its continued operation which is being opposed by tribesmen and environmentalists. Jorge Madlos, a rebel spokesman, said his group is committed to stop destructive logging, mining and large-scale plantations in Mindanao. “We will continue to launch military punitive actions against these companies to prevent them from establishing their business, disband, or punish those that do not abide with our revolutionary policies,” he said.